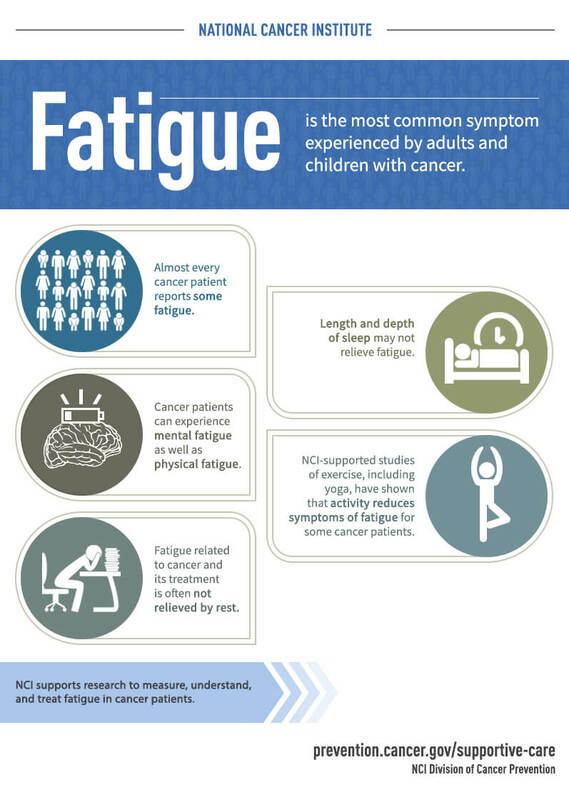 Infographic Description: Fatigue is the most common symptom experienced by adults and children with cancer. Almost every cancer patient reports some fatigue. Length and depth of sleep may not relieve fatigue. Cancer patients can experience mental fatigue as well as physical fatigue. NCI-supported studies of exercise, including yoga, have shown that activity reduces symptoms of fatigue for some cancer patients. Fatigue related to cancer and its treatment is often not relieved by rest. NCI supports research to measure, understand, and treat fatigue in cancer patients.